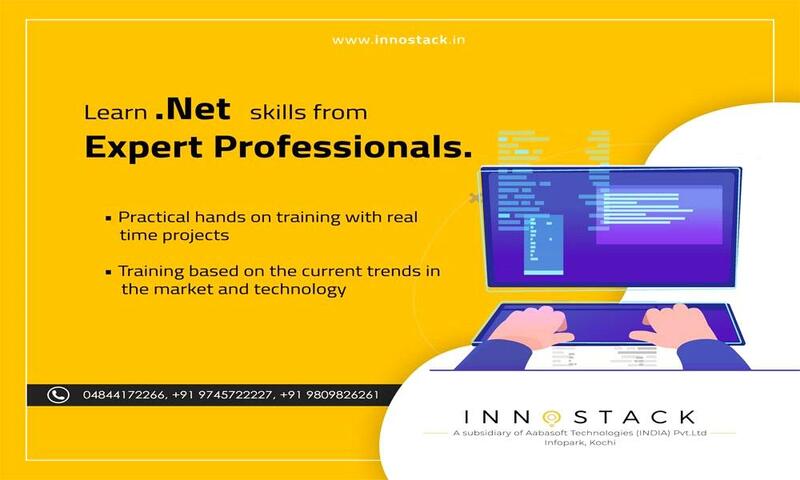 Dot net Training and Internship will be held from 4th February to 4th May 2019 at INNOSTACK, Kochi. Become a professional .Net developer by enrolling .Net Training at Innostack. The .NET training that we offer is strictly industry oriented and enables students to skill themselves in the popular and fast growing IT industry. Our trainers will provide you with hands on experience on real time projects which will help you to become the most demanding professional in the industry. Those who are crossing the test will be awarded with a 1-month long FREE internship at info park campus of Aabasoft.